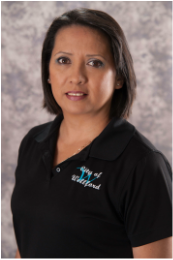 City Staff - City of Wellford, S.C.
Mrs. Lingo has been with the city since August 2000. She serves as the city's municipal clerk. Mrs. Mabe has been with the city since January 2010. She serves as the police department clerk and the victim's advocate. Mr. Guy served in the police department from 2000-2012. He was appointed to the position of city administrator in July 2015.